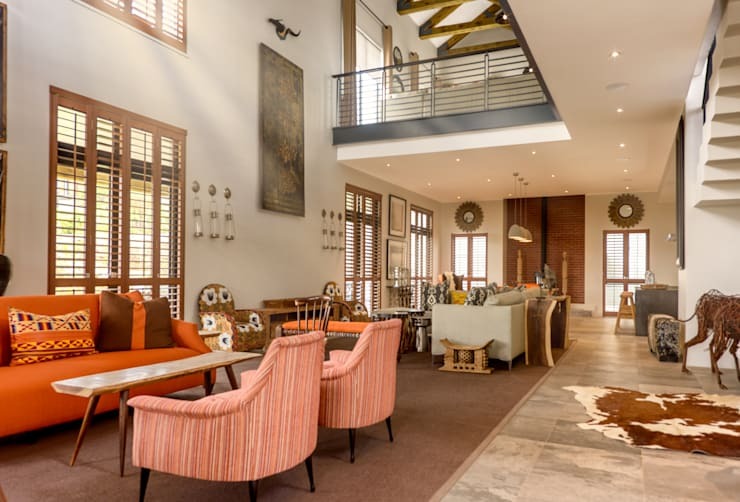 Today’s homify 360° discovery showcases one of Gauteng-based company Gelding Construction Company (Pty) Ltd’s projects: one of two houses chosen for the international launch of Steyn City Parkland Residence in Fourways, Johannesburg. 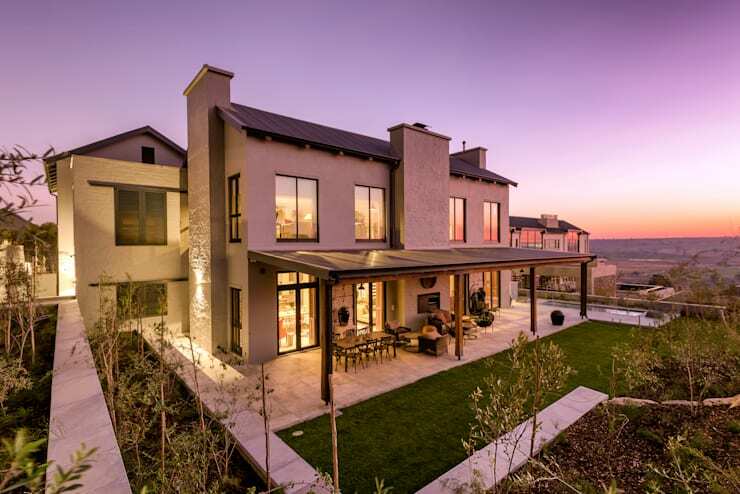 With an area layout of 800 m² and asking price of R12 million, this is certainly a showstopper of a house – and did we mention the immaculate view it enjoys? There are many things we can fall in love with here at the house’s rear side – its perfectly manicured lawn, the spacious stone-clad terrace, the splashpool, etc. However, it is that superb view of the stretched-out landscape and the setting sun that really stole our hearts! It’s quite refreshing to see a house, located in the busting city, that also shows a decent commitment to freshness. And we’re not talking about the odd potted plant here and there, but a fantastic lawn and the appropriate amount of plants/trees, as shown here! Double-storey ceilings! You know what that means: a most spacious interior that also enjoys a royal ambience. 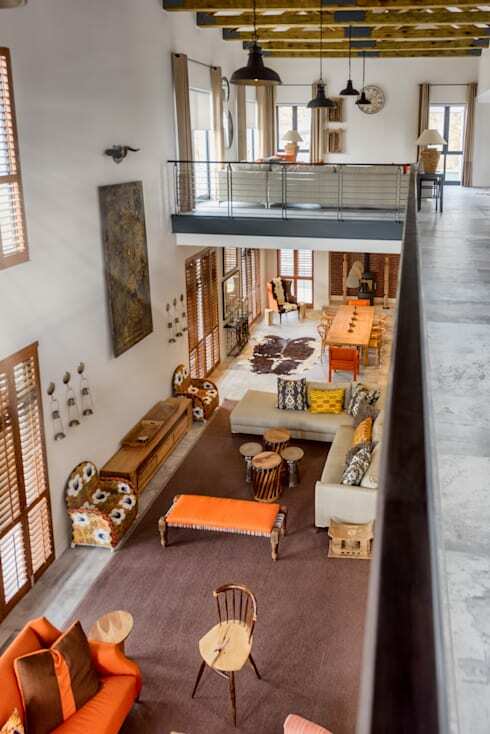 And speaking of space, check out this fabulous open-plan layout that offers up multiple seating options, various warm-toned décor and furniture pieces, materials and textures that complement one another, decorative elements that highlight an African setting, etc. One good look deserves another – this is what the spacious open-plan living- and dining room looks like from the top floor, where, it would seem, another seating area has been located (or is that a pyjama lounge?). And don’t overlook those eye-catching timber beams that go a long way in adding a rustic style (not to mention visually pleasing touches) to the interiors. 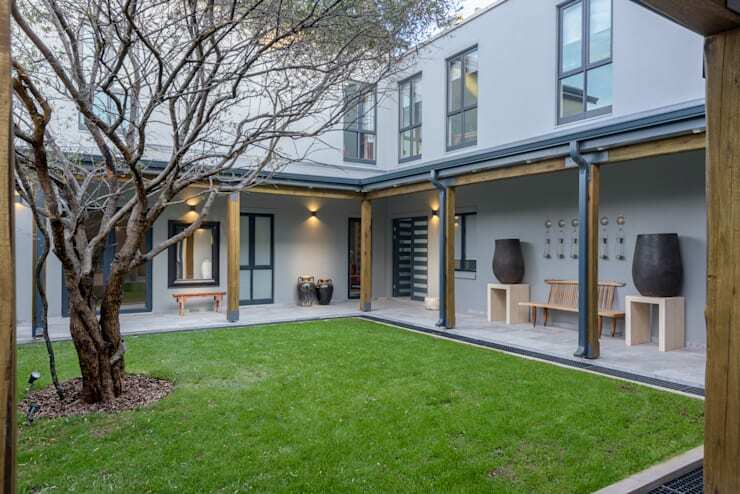 Next up for your viewing pleasure: The most beautiful house in Pretoria. A dream design, or not your style at all – what are your thoughts?